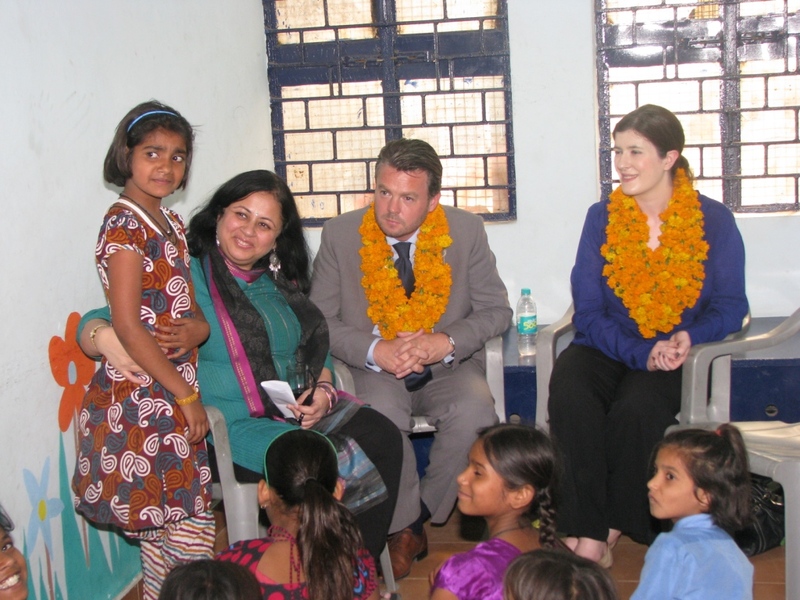 2nd May 2013 | The Irish Ambassador HE Mr. Feilim McLaughlin accompanied by Ms Katie Morrisroe from the High Commissioner visited Asha’s community centre in Jeewan Nagar slum colony. He was welcomed with great joy and enthusiasm by Dr. Kiran Martin, Asha’s founder and director; college going students from Jeewan Nagar and members of the Asha Team. HE Mclaughlin listened with great interest as members of Asha’s women’s group in the slum colony shared their experiences of being associated with Asha. He particularly enjoyed meeting with students from the slums who have overcome the obstacles of poverty to achieve higher education. He congratulated them on their achievement and reiterated the importance of education by sharing experiences from his own life. He also visited some of the students in their homes to see challenges they face each day. Asha is delighted to have been able to welcome the Hon’ble Ambassador and looks forward to working with him and the Irish High Commission for many years to come. 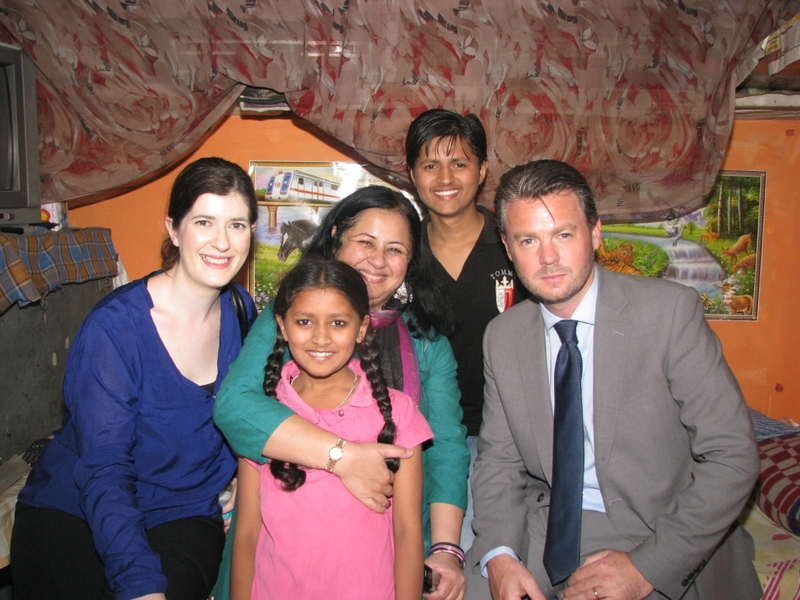 Please click here to watch HE Mr. Feilim McLaughlin speaking about the work of Asha. Bidding Adieu to the Australian Deputy High Commissioner to India, Chris Elstoft.